How might we compare pomegranates and hand grenades? Battleships and baobabs? The perfect cappuccino and the purr of a Cadillac? Welcome to the fascinating but vexing challenge of choosing a South African all-time XI. Other countries fret about gifted individuals falling through the cracks in their systems, but South Africa has wilfully consigned entire races and generations to obscurity. Such is life when sport has politics for a brutish big brother. What do we make of a clearly gifted player who had the door to a Test career kept firmly shut in his face by apartheid? What of those who played during the rebel era? Complications, we've had a few. The ghosts swirled even after we decided to focus exclusively on those who had played official Test cricket for South Africa. 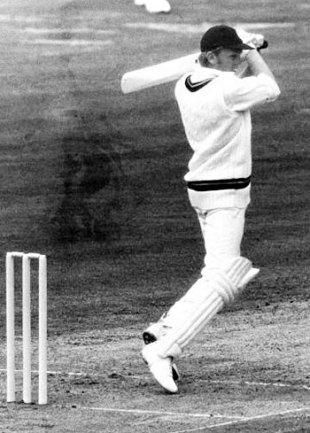 For instance, can we hail Barry Richards as great on the evidence of just four Test matches? Of course, our jury also had to contend with more conventional selectorial headaches. South Africa produces quality fast bowlers by the bushel, and there must be something in the water that makes every second or third cricketer at least a semi-genuine allrounder. But decent spinners are thin on the ground, what with pitches that often refuse to deteriorate and captains who regard the art of tweaking and twirling as something best confined to those mysterious places where women get their hair done. South African batsmen have tended towards bloody-mindedness. Not for most of them the unfurling of grand strokes that catch the breath of all who feel privileged to see them. South Africans regard the crease as a trench from which to wage war, and they couldn't be bothered with how unpretty it gets. The truly brilliant batsman who is able to not get out and score runs attractively is a rare and underappreciated thing in these parts. Brave souls are needed to come with 11 names out of all that. Fortunately South Africans tend to be born brave: our jury has done its duty with due consideration and thoughtfulness. We now present their findings, starting with the contenders for the opening berths. The merest suggestion that he does not belong among the definitive all-time greats will spark violence in most bars in South Africa. A batsman who had it all, except a meaningful Test career. For 20 years an immovable presence in the South African team, of which he was heart, mind and soul. Regarded the cricket ground as his personal zen garden and zoned everything out, to the chagrin of the opposition. In a word, "Biff". In other words, crushing, dominant, aggressive, huge, courageous, influential, confident (arrogant? ), gregarious, liked, loved, and despised. As a player, a man to go to war with. As a captain, a man to lead others into battle. Perfectly nicknamed "Bunter" after the chubby, bespectacled, exuberant, ever-scheming schoolboy of British fiction fame. Innovative, ambitious and possessed of a fierce competitive spirit. A fine player who endeared himself to all, including opponents. To see him practising cutting fast bowlers for six was to see supreme confidence on the hoof. Capable of producing the most emphatic strokes, but also of the most damaging errors of judgment. Devoid of almost all traces of the sportsman's ego. In short, exceedingly human in the most decent way. Scavenged and accumulated his runs, unlike his more purely talented half-brother, Peter. Not for nothing does his surname rhyme with glue. Accordingly, held the record for the slowest first-class century - 105 in 545 minutes - for 20 years. A man more committed to his cause will never be found.